I've been a bit of a lucky girl this week, Simon treated me to an afternoon tea and provided me with the opportunity to tick another place off my list. 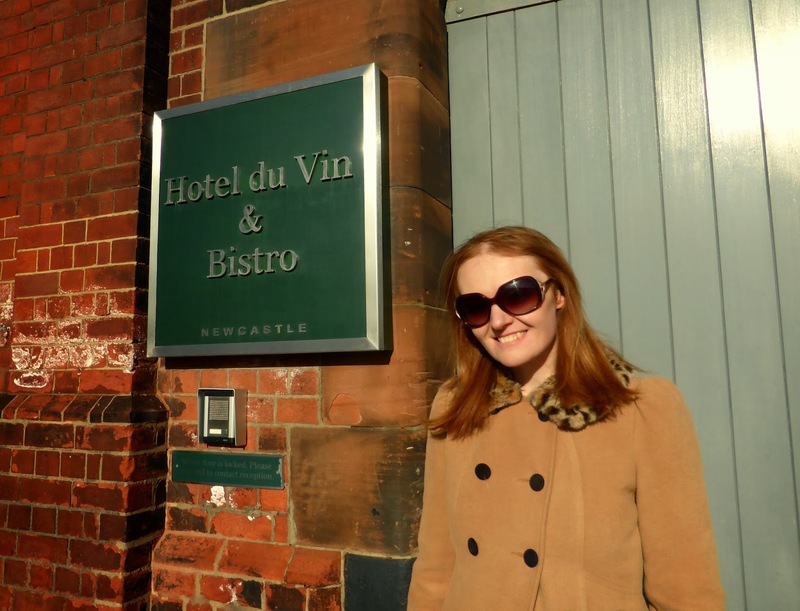 I decided to opt for the Hotel du Vin, another of Newcastle's top hotels that I was yet to have a nosy in. Yet again we had a beautiful sunny Sunday so we made the most of the nice weather and strolled to the hotel to get some fresh air. 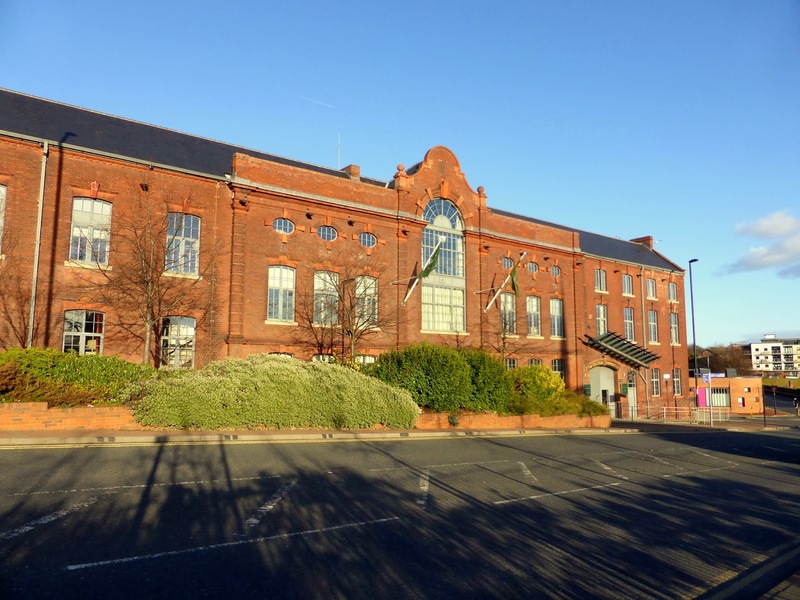 The hotel is situated on the City Road, just up from the Quayside so it was a nice walk with some lovely scenery. 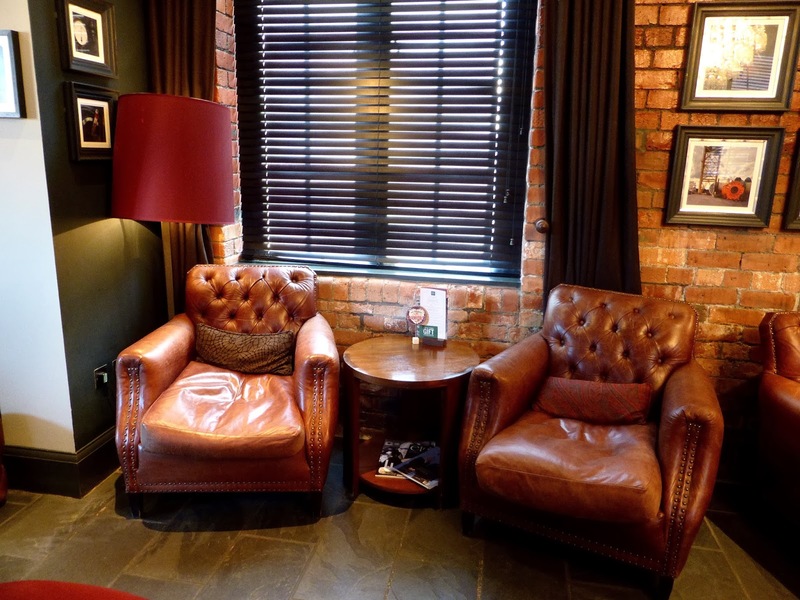 Hotel du Vin is the former home of the Tyne Tees Shipping Company, a beautiful grand red brick building. 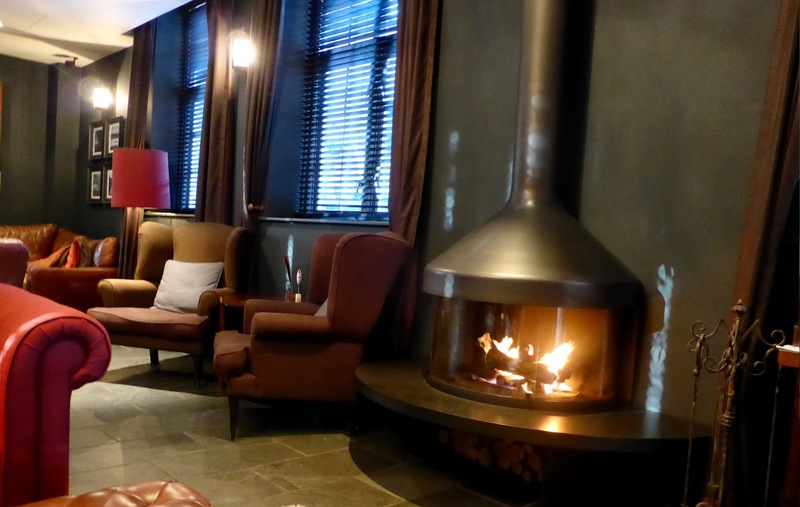 The hotel boasts a lounge, cosy bar, bistro and courtyard which I am definitely adding to my list to try in the Summer - with plenty of outside sitting it'd be the perfect place to drink cocktails in the sunshine. The good weather meant that I happily put on a dress without worrying about being too cold or turning up looking like a bedraggled rat. I opted for my Primark finest with my favourite comfy boots. 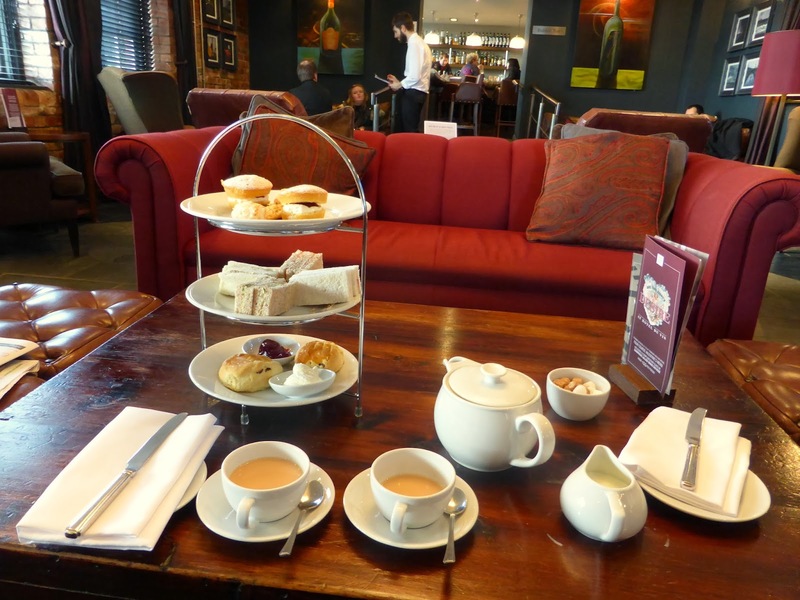 We had our afternoon tea in the lounge, a room full of comfortable plush red sofas, leather chairs and a welcoming fire. It was one of the nicest rooms I've ever had afternoon tea in and we had a really enjoyable few hours chilling out in the peace and quiet discussing holiday plans, family news and obviously talking about our favourite afternoon teas. The menu offers a variety of afternoon choices including G'n'T, fizz and cocktail options. We decided to go for the traditional, costing £13.75. Whilst this is a little cheaper than other hotel afternoon teas we were left a little disappointed. The afternoon tea wasn't as lovely to look at as a lot of others we've had, the top tier of cakes were very beige and whilst we enjoyed the Victoria Sponge the toasted coconut and flapjack style biscuit weren't very exciting or colourful. We were also a little surprised to see only one scone each. Whilst it was nice not to leave totally stuffed, part of the joy of afternoon tea is the moment you first see your cake stand crammed full of cakes, and unfortunately this one didn't really deliver. That said the food was perfectly nice, the room was cosy and comfortable and the staff were really friendly. So whilst I don't think we'll be returning for our cake fix, we'll definitely be giving the Bistro a go at some point. There are 15 branches of Hotel de Vin across the country including some of my favourite cities - Edinburgh, Bristol, York and Cambridge. I'd be really interested to hear if any of you have visited any of the others. I leave you with a beautiful photograph of the Tyne Bridge from our walk home. I'm usually stuck in the office when the sun is setting so don't often get to experience it. What a beauty! 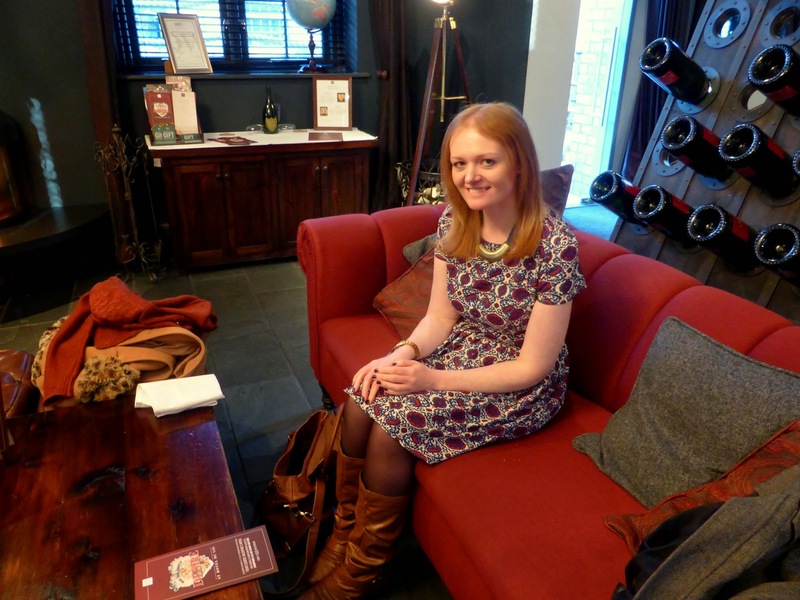 I went to Hotel Du Vin in Bristol with a friend and we were really disappointed by the food. I'm sorry your experience wasn't quite as you hoped but they are nice hotels. Bless Simon for treating you! Your dress is gorgeous ( I don't believe it's a Primarni!) Sorry your tea wasnt top notch though, I'm with you - if you're going out for afternoon tea I want someone to have to roll me out of the place afterwards! Thank you :) I do love a good find in Primark ... not been in there for ages actually ... mmm might need a visit! We're starting to think about having some dinner now ... so yeah not stuffed full at all! I love an afternoon tea and actually went for one yesterday with friends. It's a great time to sit back, stuff yourself silly with lovely morsels and have a good natter. So yes I totally agree with you I would be slightly disappointed with the cakes there. 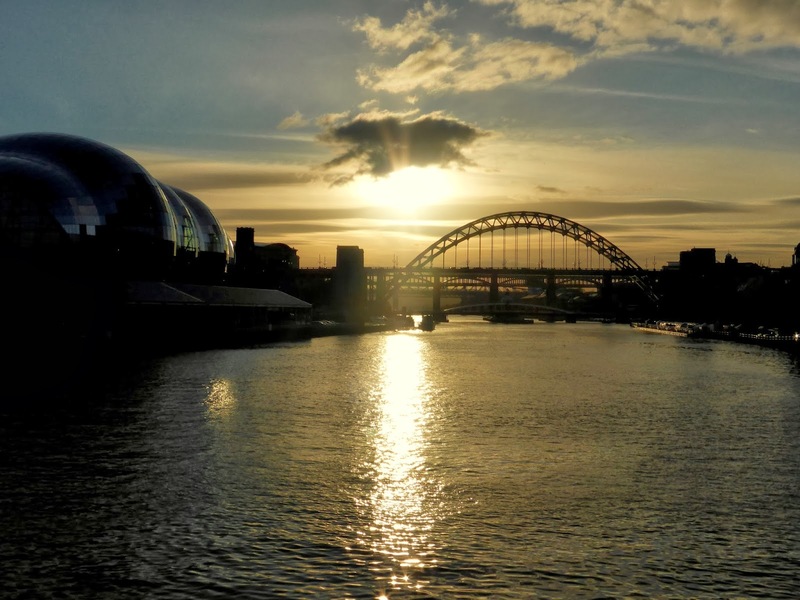 That said the room looks lovely and the photo of the Tyne Bridge at sunset is stunning! Glad you agree :) It just needed a touch of colour, maybe a cake featuring some nice colourful fruit or some chocolate or something! Such a shame cos the hotel is lovely! Shame about the afternoon tea, but we stayed in that hotel last year and it was an amazing room. There was a bath by the window, big beams, high ceilings and the best little coffee machine for that morning caffeine fix. I'd definitely recommend a stay and if you can get a room over looking the river, take it! I love it .... it's from last year (I think), Miss Selfridge. I have about 4 or 5 Winter coats on the go at the moment - Simon thinks it's a little excessive the amount of peg room I take up in our hallway but there are just so many lovely coats its hard to pick! That does look a little on the sparse side (although growing up in York i'm use to the generous yummy helpings you get with Betty's afternoon teas). Shame it didn't match up to the settings - those leather chairs look so cozy. I'd agree with you it looks very sparse! Possibly reflected in the price. Most people going out for afternoon tea expect something more than this. 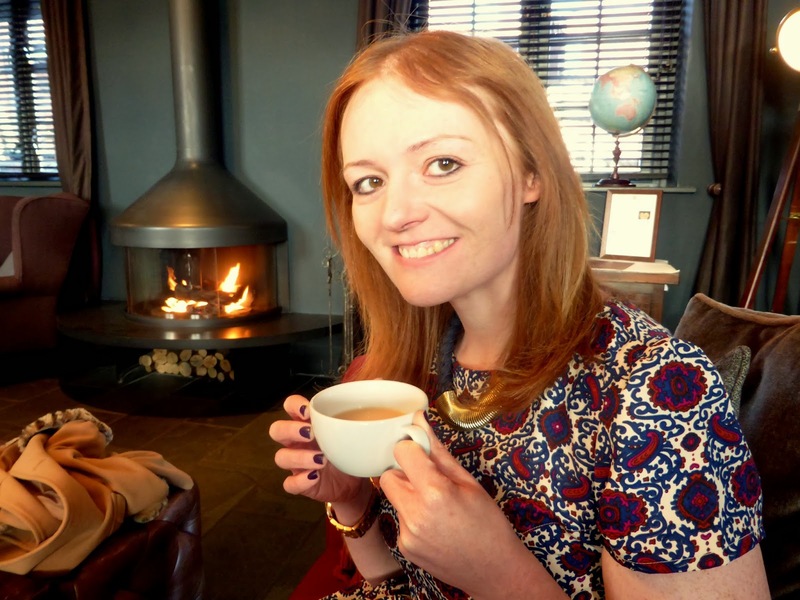 The best local afternoon tea I have had is at Hotel La Tour in Birmingham. 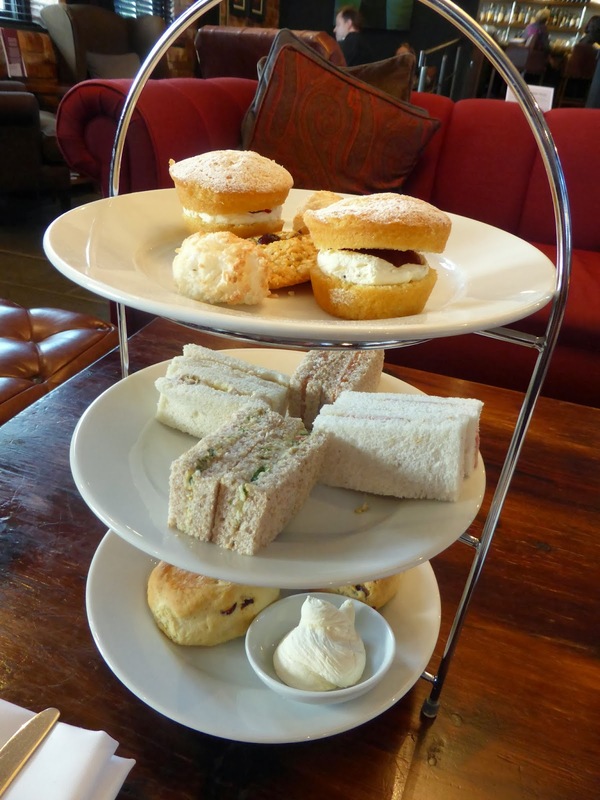 They charge £16.95 and there is a lovely selection of sandwiches, homemade scones and cakes to die for! If this is the standard of Hotel Du Vin generally, they won't be on my places to try. Having said that I have eaten in the Bistro many times and it has been wonderful!